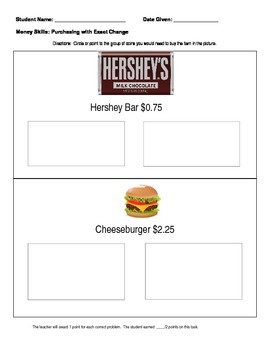 This is a packet of assessments you can use to teach money for grades K-3 (Depending on ability level). They can also be used with older grades in special education. 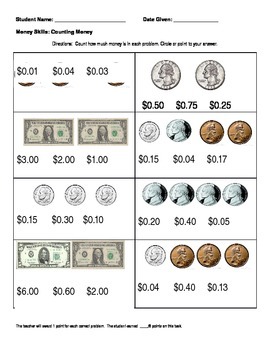 You will find an assessment based on sorting money into bins through coin identification, coin value, counting money, and purchasing a specific item. I used them as a pre-assessment of the skills I would like to teach this year and I plan to give a post-assessment at the end of the school year.